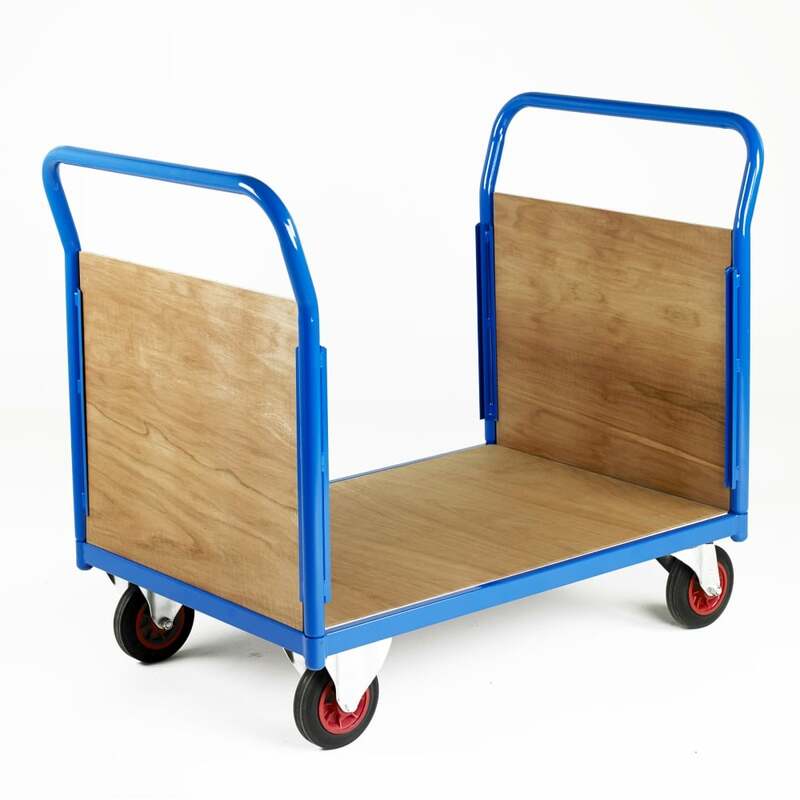 High quality, UK made multi-purpose trucks ideal for many applications. Welded steel frame with a Blue powder coated finish. Decking is an exterior grade plywood ideal for indoor and outdoor use. Wheel are mounted in a firm loading configuration for added stability. Wheels: 200mm Dia. Solid rubber tyred, roller bearing. Two fixed, two swivel.